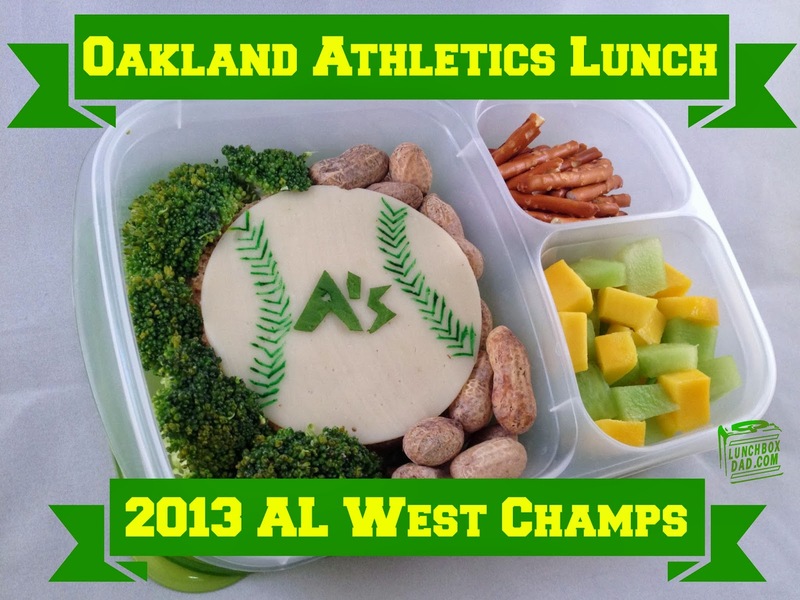 Year 2, Week 5: Oakland A's Division Championship Lunch! If you don't follow me on Twitter or Instagram, my family and I received an awesome opportunity this past weekend to go to an Oakland A's game. We are huge fans and my son and daughter loved it. Dove Men+Care and Major League Baseball gave us the opportunity to go with a few other dad bloggers and their families for their #bigleaguedads campaign. It was such a fun experience to be out there, meet new people, and spend time with my kids watching our favorite team play. As it turned out, my kids talked about it all weekend long. We even listened to the A's win their division on the radio yesterday. 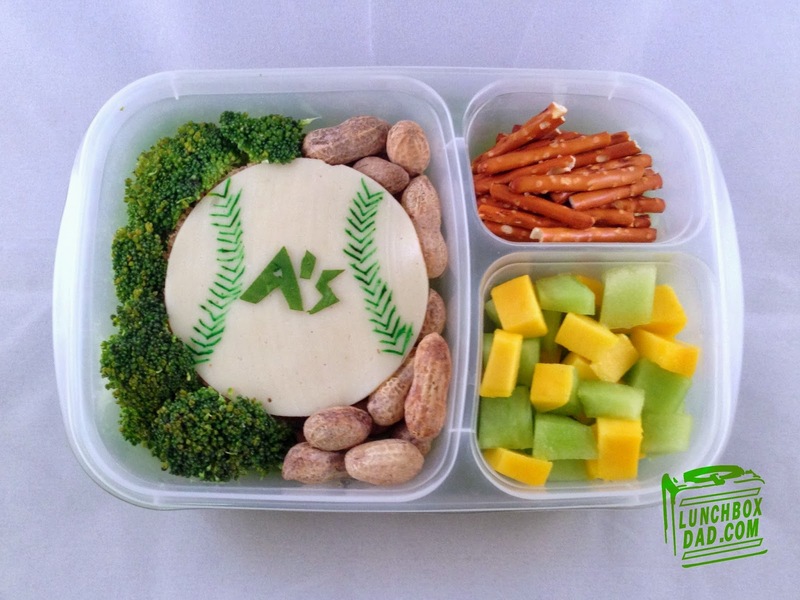 To celebrate the time on Friday, and the championship, I made my daughter an Oakland A's lunch for school. I tried to use mostly A's colors and also throw in some typical ballpark snacks. The great thing about this lunch is that you could change it slightly to fit whatever your teams colors are. Just find some healthy fruit and veggies that fit! I made this in an Easy Lunch Boxes container. 1. Place all sandwich ingredients (cut in the shape of a circle) together. Make sure the cheese in on top. 2. Use a sharp knife to the the letters out of spinach leaves. 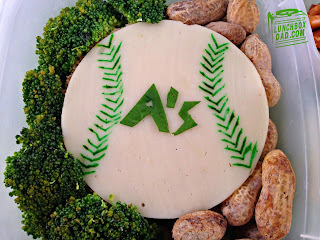 Make the seams of the baseball by using a toothpick and green food coloring. Put sandwich in your container. 3. Fill in space around the sandwich with broccoli and peanuts. Use popcorn if your kids don't like peanuts. 4. Place pretzel stick bats in first side dish. Mix up honeydew and mango pieces. Put these in your second side dish. 5. 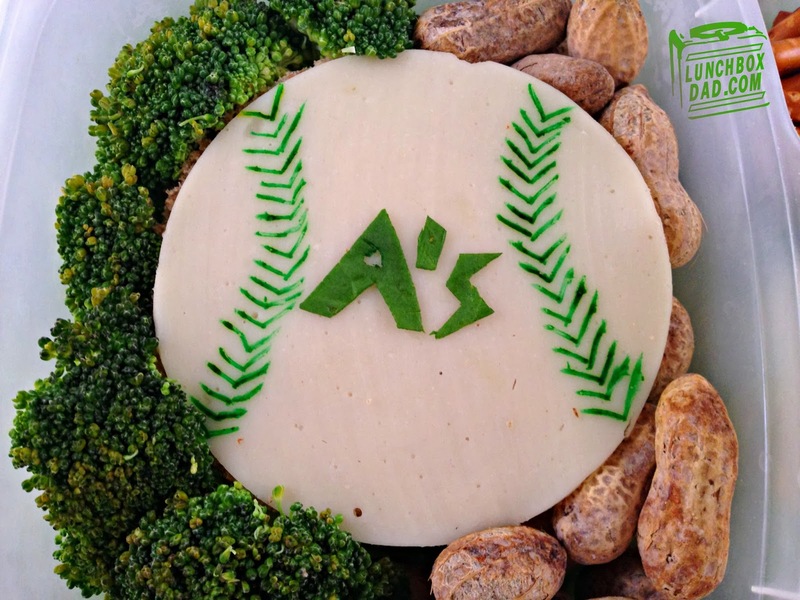 Your child now has a fun baseball themed lunch. Remember you can always substitute some of the ingredients to make your own teams colors. I hope you have had the chance to make it out to a game with your kids. Whether it is one that they play in themselves or a pro game it is always fun to get outside and spend time together as a family. Next time you go, consider making this lunch for them. It is fairly simple, healthy, and they will love it because you made it! 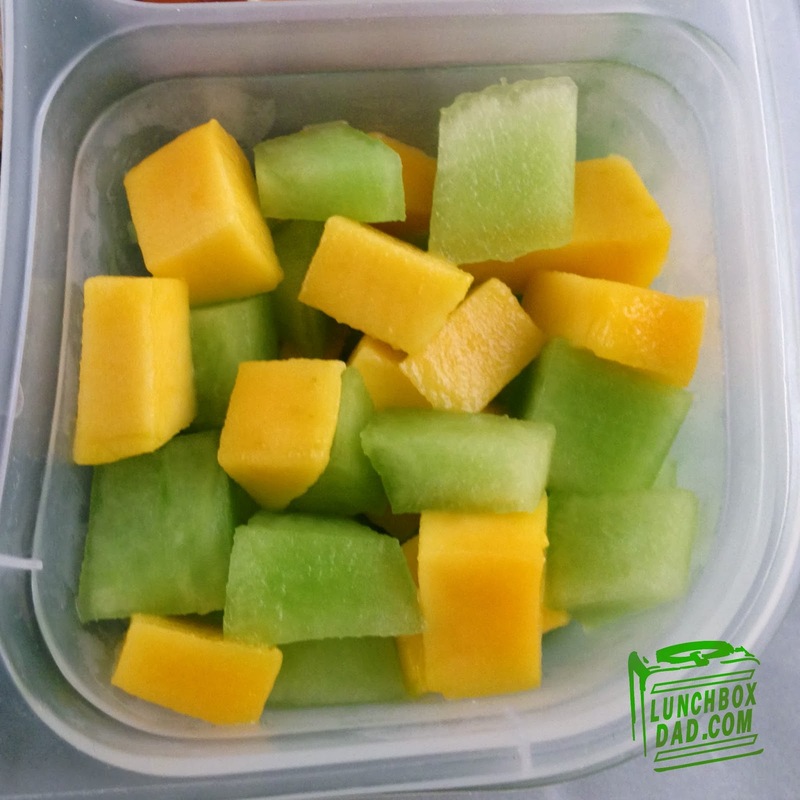 Remember to follow me on Facebook, Twitter, and Pinterest to keep up to date on all the Lunchbox Dad news and to get even more great ideas for lunches, lunch supplies, and other parenting gear!